Ruthie Mae Burton McGhee was born on February 27, 1940 to Elisha and Rosa Mae Burton in Talladega, Alabama. She received her crown of life on December 3, 2018. Ruthie accepting Christ at an early age at Africa Missionary Baptist Church where she remained an active member. She was a member of the senior choir. She attended R.R. Moten in Sycamore, Alabama. Ruthie married the love of her life, Mr. Willie C. McGhee on June 20, 1959. Nine children were born from this union. 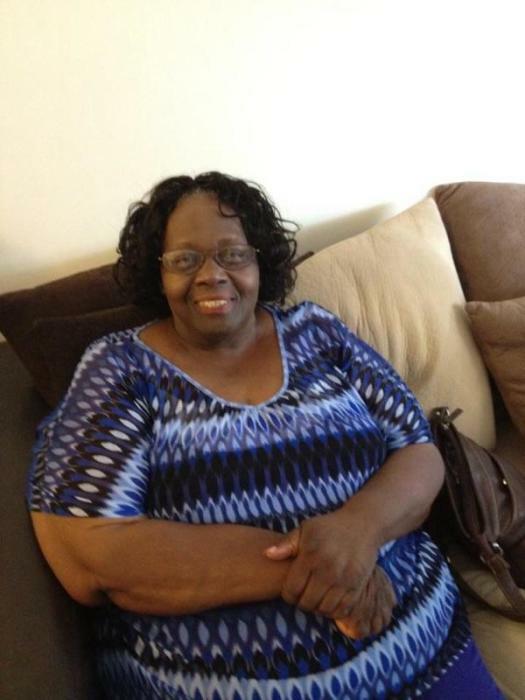 She was a loving mother, grandmother and great-grandmother. She was preceded in the death by her parents. Elisha and Rosa Burton, her brothers, Benny George and Frank Edward Burton and granddaughter Megan McGhee. Mrs. McGhee leaves to cherish her memories: her loving husband, Willie C. McGhee, Talladega, AL; nine children, Gregory (Angela) McGhee, Little Rock, AR, Ronald (Rebecca) McGhee, Saugerties, NY, Willie (Trisha) McGhee, Talladega, AL, Susie Harold, Talladega, AL, Alexander (Tammy) McGhee, Talladega, AL, Kimberly (Terry) Cunningham, Talldega, AL, Kevin McGhee, Talladega, AL, Regena (Antone) Pickens, Talladega, AL, and Melony (Maurice) McGhee, Talladega, AL; one sister, Jeanette Swain, Detroit, MI; two sisters-in-law, Brenda Burton, Frances Burton, both of Detroit, MI; 23 grandchildren, 23 great grandchildren and a host of other relatives and friends.